We offer a wide range of Fixed Wall Bar solutions to suit your needs. Below is a list of the standard models we offer, however we can also provide bespoke solutions to suit your needs. Please contact us to discuss your requirements. 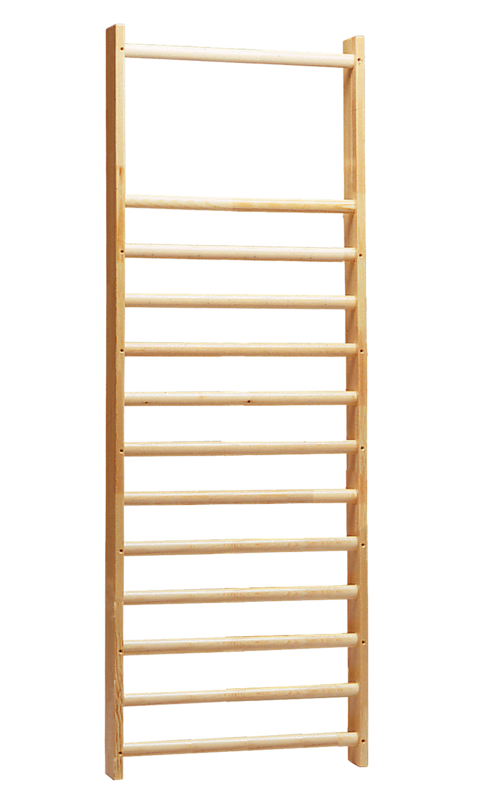 All rungs are elliptical for the best grip. Can be combined with a variety of accessories and linking items to expand the range of usage possibilities. Available as a single module or multiple linked units (see table below for options). Medium height version of our standard fixed Wall Bars. Often used where ceiling height is limited. Available as a single module or multiple linked units. Low height version of our standard fixed Wall Bars. Features a raised upper section which makes it easier for different rehab exercises, such as back exercises. Ideal for home or pre-school use.